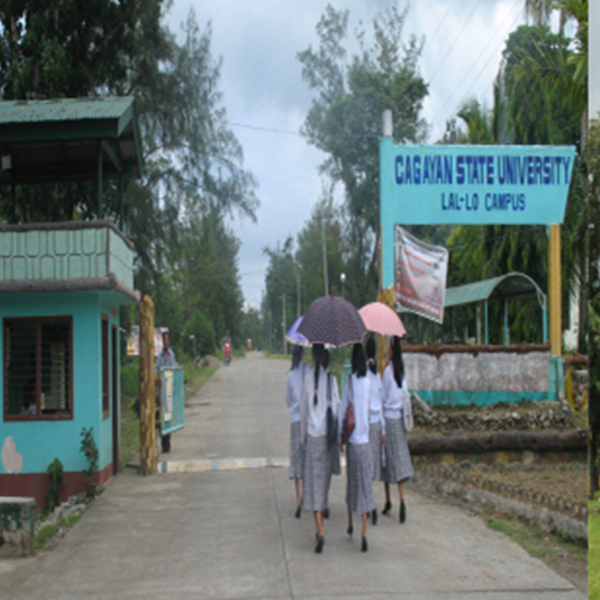 The Cagayan State University Lal-lo Campus was originally the Cagayan Valley National Agricultural School, which was created in 1955 by RA 1038 and Presidential Proclamation 239. It provided a secondary agriculture curriculum to both boys and girls. It was elevated into a college, the Cagayan Valley Agricultural College, under the defunct Bureau of Vocational Education on June 16, 1962 under RA 3474 through the sponsorship of former Congressman Tito M. Dupaya. It offered a two-year Technical Agriculture (Agricultural Technician) course, Bachelor of Science in Agriculture (BSA), and Bachelor of Science in Agricultural Education (BSAE). In 1967, it sent out its first crop of graduates. In 1976, Bachelor of Science in Home Technology and Bachelor of Science in Agricultural Engineering were added to the list of course offerings. In 1978, the college department of the Cagayan Valley Agricultural College was integrated in the Cagayan State University by virtue of Presidential Decree 1436. 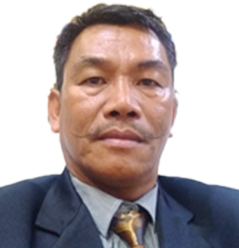 Its first Campus Administrator was Mr. Francisco S. Zamora, who was then the Superintendent of CVAC. Through a presidential approval in March 17, 1985, the secondary department of CVAC, then administered by Mr. Ernesto M. Esteban, was absorbed into the CSU system. 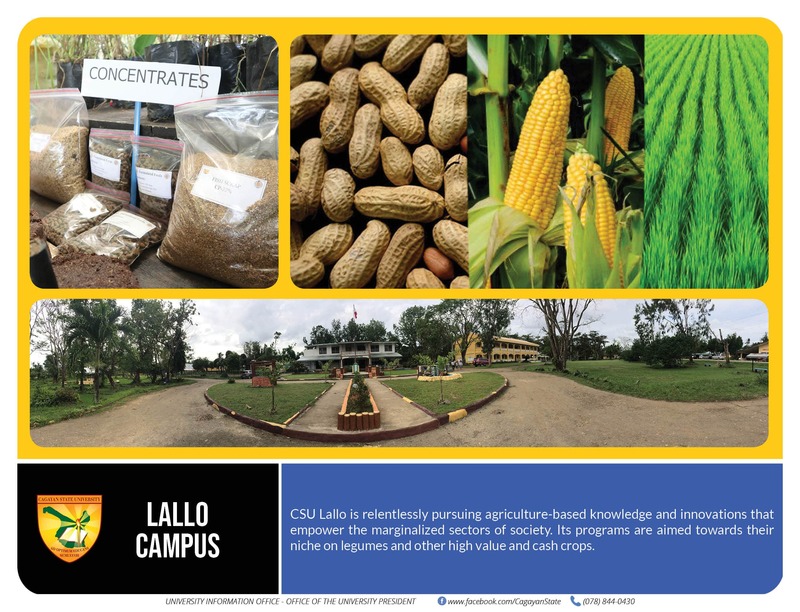 In 1993, CSU at Lal-lo was a recipient of the Philippine-Australia Agriculture Technology Education (Agritech) project under the auspices of the Australian government through the Australian Assistance for International Development (AusAID). In SY1995-1996 was the start of the offering of the ladderized agriculture program i.e Diploma in Agriculture Technology- Bachelor of Agricultural Technology (DAT-BAT), making the temporary closure of the BSA program to admit first year BSA. Four years after, the Bachelor of Science in Agriculture was reopened. Since then, CSU Lal-lo has offered new programs which include Bachelor in Elementary Education, Bachelor in Secondary Education, Bachelor of Science in Agriculture, Diploma of Agricultural Technology, Bachelor of Agricultural Technology, Bachelor of Arts in Political Science, Bachelor of Science in Information Technology and Bachelor of Science in Hospitality Industry Management.